The next gathering of the Lincoln Lagers will be on the traditional first Thursday of the month, FeBREWary 5th, 2009. We’ll start at 7:00 pm. The tentative meeting agenda will include resurrecting the Challenge with the OmaHOPs, bus trip ideas, and possibly a sampling of Irish red ales. Seeing how many of you will be brewing (or probably have brewed by now) a red for the next Lazlo’s BeerQuest, we thought this could be a good opportunity to sample this style. 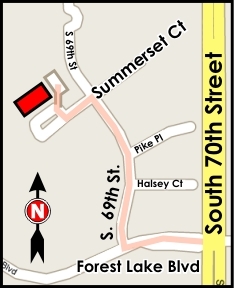 Directions: Head south on 70th Street, past Pioneers. Turn west on Forest Lake, then north on 69th to Summerset. Turn left to the clubhouse. Park in the parking envelopes.